The essential tweezer for the professional. Slanted, perfect tip alignment securely grasps hairs every time for professional precision. Leaving you with the best brows. 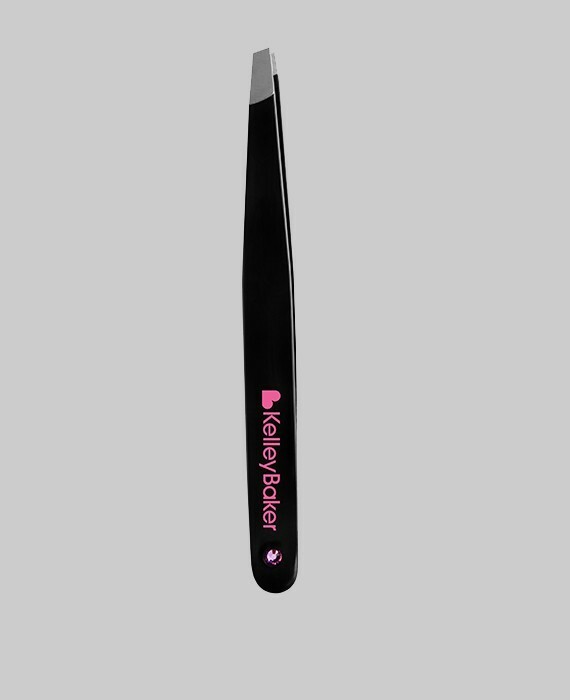 Black enamel w/pink Swarovski crystal – angle eyebrow soft tension precise grip.